Volvo Construction Equipment has gained a world-wide reputation as a manufacturer of high-quality, powerful and durable construction machines and equipment. The Volvo backhoe loaders, or also called Volvo loader backhoes, are amongst the top-selling machines from this Swedish manufacturer. Many operators around the world describe the Volvo loader as an extremely versatile and flexible machine that allows operators to complete different tasks quickly and efficiently. 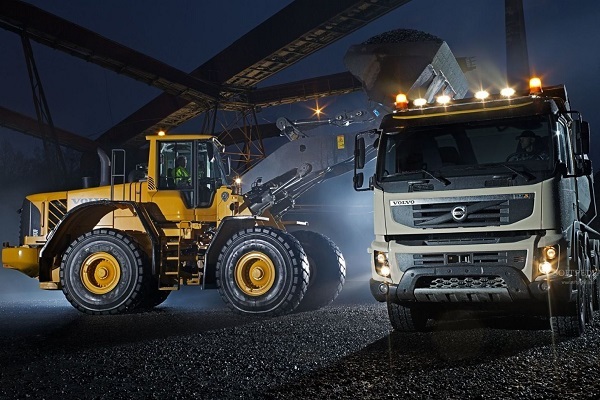 All Volvo loader models are built to last and to satisfy the customer needs all over the world. These machines are widely used in the construction and agricultural industry as they offer many advantages in terms of efficiency, strength, compactness and versatility. Compared to other loader types, the backhoes from Volvo are easier to use and maintain. These machines are suitable for digging, loading, craning, handling materials, deep trenching, carrying, recycling, and many other heavy-duty applications. Volvo CE offers not only backhoe loaders, but also a wide range of backhoe attachments. Some of the most popular backhoe attachments are: buckets with different sizes and shapes, breakers, log grapples, pallet forks, hydraulic thumbs, hydraulic quick couplers and other useful tools. These attachments allow the operators to use a single Volvo loader for performing multiple tasks at the same time. Every Volvo loader is designed with a Volvo Care Cab, a spacious, ergonomic and safe cabin which allows operators to enjoy operating even on tough terrains. This new cabin reduces the vibration and the internal noise, while ensuring an excellent all-around visibility even through bad weather. The controls are ergonomically placed in front of the operator. The Care Cab also comes with climate and filter system for increased operator comfort. To ensure a maximum productivity and to extend the service life of each backhoe, Volvo provides a manual that contains important information. The Volvo backhoes have ground-level access maintenance and service points. This allows the operators to perform all necessary repairs very easily. One of the most interesting facts about these machines is that a typical Volvo loader is a 2-in-1 machine that can easily perform digging and carrying operations, saving in this way a significant amount of time and money. As mentioned above, for other applications, there is a wide range of backhoe attachments. Volvo has been one of the first manufacturers to offer backhoe attachments for its machines. With so many benefits and advantages, it is no wonder why the Volvo loader is a number one choice for many construction companies all around the world.